Your most cherished can make sure everyone at home stays on the right side of the law with the Chad Valley 25cm Police Car. 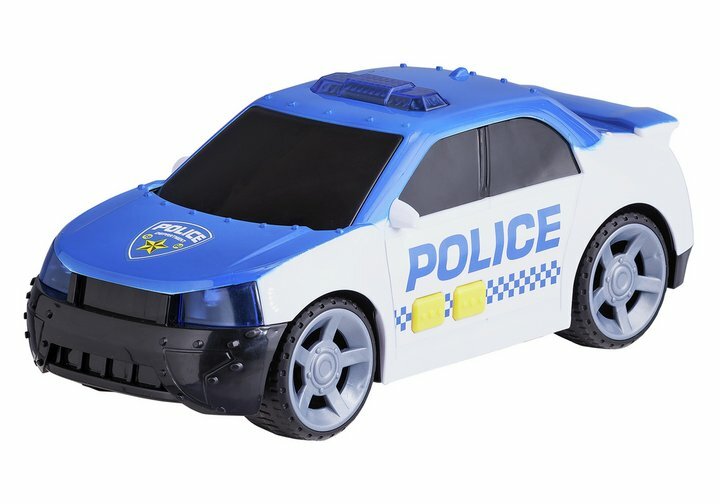 Bringing hours of enjoyment for long-time play, this vibrantly coloured free wheeling police vehicle features engine start, driving and emergency siren sounds as well as light-up headlights and flashing emergency lights to captivate kids as they embark on law enforcement roleplay fun. Size H9.8, W25, D10.8cm. Get money off with April 2019 free Argos voucher codes, see if there's a discount code for the Chad Valley Police Car product.